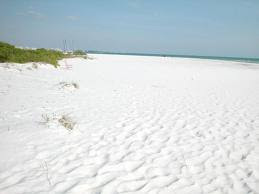 Check out the the 2010 top 10 beaches in America. This guy, Dr. Stephen Leatherman AKA "Dr. Beach"pretty much has the coolest job ever. If you need some assistance in putting this list together for 2011 please feel free to reach out to us Dr. Beach. As “Dr. Beach,” Leatherman has selected the annual Top 10 Beaches since 1991. Fifty criteria are used to evaluate beaches, which include water and sand quality as well as safety and environmental management. Dr. Leatherman is an internationally known coastal scientist who has published 16 books and hundreds of scientific articles about storm impacts, erosion, and ways to improve beach health and safety. To read more about these locations and find out the criteria used to judge them check out Dr. Beach's site.